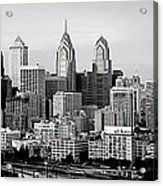 Queen duvet cover (88" x 88") featuring the image "Philadelphia Skyline Black And White Bw Pano" by Jon Holiday. Our soft microfiber duvet covers are hand sewn and include a hidden zipper for easy washing and assembly. Your selected image is printed on the top surface with a soft white surface underneath. All duvet covers are machine washable with cold water and a mild detergent. Congratulations on your sale Jon! Philadelphia Skyline in black and white. 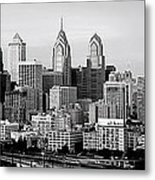 Be sure to see all my Philadelphia images, including this one in color. 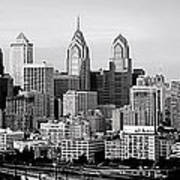 Also, a "wider" pano in a 1:4 ratio.